Sergio Álvarez Leiva (Madrid 1985) has been named as the winner of the 2016 FPdGi Business Award, at the second winner announcement of the 2016 edition of the Princess of Girona Foundation Awards which, on this occasion, was held at the University of Granada. The jury announced its decision this afternoon, highlighting that Álvarez “has managed to create a business with an innovative and global approach to data visualisation using mapping in a world in which images are becoming increasingly important”. 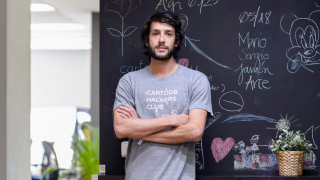 The jury considered that Sergio Álvarez, CEO and founder of CartoDB, “sets an excellent example for young people with entrepreneurial ambitions to follow” and they highly rated his international standing, capacity to mobilise financial resources, geographical expansion and creation of employment. 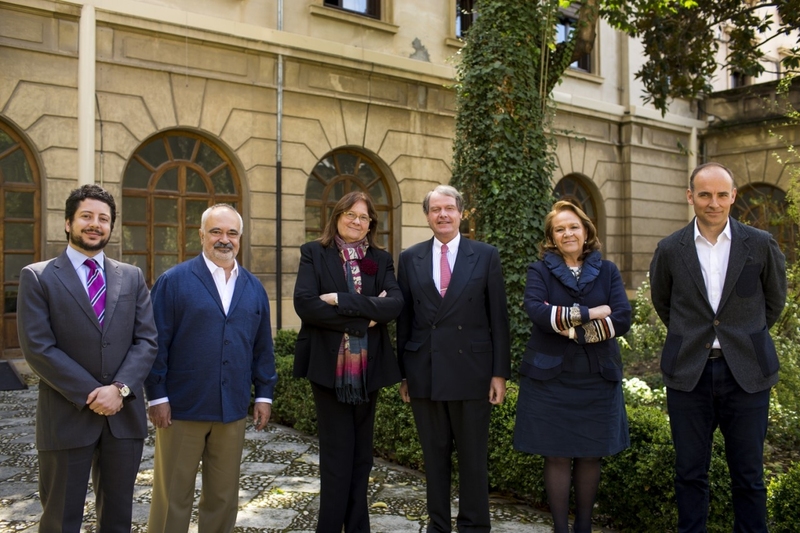 The members of the jury in this edition of the FPdGi Business Award were Pepe López de Ayala, managing director of Twitter in Spain and Portugal; César Molinas, economist, mathematician and member of the FPdGi Advisory Council; Ignasi Belda, FPdGi Business Award winner in 2014; Ana María Llopis, founder and CEO of Ideas4all; and Concha Yoldi, president of the Persán Foundation. On hearing the jury’s decision, Sergio Álvarez said he was “absolutely thrilled, because this is an important award” which will enable him to better publicise the real aim of his company: “to democratise access to a technology that should not only be available to a select few”. “It is not fair that Google can access such a huge amount of data that it is capable of predicting when the next outbreak of flu will occur, or that Amazon already knows what the next top-selling product will be”, added Álvarez, who highly values the Award’s capacity to grant him access to a large network of truly inspiring people. Álvarez assures us that data mapping is possible as almost everything is connected and we ourselves always carry mobile sensors on us. “For the first time in history we can improve global decision making, analyse and predict environmental and social changes” thanks to this technology, claims the award winner. The Princess of Girona Foundation Awards recognise the innovative and exemplary work of young people aged between 16 and 35 years, and that of an organisation working for young people. The Business category rewards young people with entrepreneurial initiative in the execution of an original and viable business project. Of the 209 nominations received for this year’s edition (the seventh since the FPdGi Awards were set up), a total of 33 were for the Business category. After the jury had announced its decision, at a meeting in the Colegio Mayor Isabel la Católica in Granada, 50 local young people were invited to share their experiences and concerns with recognised professionals and entrepreneurs at one of the now traditional lunch meetings that the FPdGi organises during these winner announcement ceremonies. The event at the University of Granada closed with a round table entitled “Research, entrepreneurship and venture capital: a winning alliance”, which was held in the assembly hall of the Triunfo Administrative Complex. The participants discussed the conditions needed to help creators and researchers successfully turn their projects into businesses. Taking part in the debate were Ana María Llopis (founder and CEO of Ideas4all), César Molinas (FPdGi Advisory Council member) and Eduardo Pareja (CEO of Era7), moderated by Ignasi Belda, 2014 FPdGi Business Award winner. Sergio Álvarez Leiva (Madrid 1985) began a degree in information technology at the Carlos III University in Madrid, but he dropped out to start working in a tech start-up. In 2009, Álvarez co-founded, with Javier de la Torre, the data visualisation company Vizzuality, with offices in Cambridge and Madrid. Three years later, he co-founded the location intelligence platform CartoDB, with offices in New York and Madrid, which has more than 150,000 users. In 2013, Álvarez went on to form part of the Global Shapers (WEF) community and, in 2014, he was named one of the ten MIT TR35 Young Innovators. Álvarez Leiva has delivered courses and seminars at institutions such as IE Business School, the European Institute of Design and the Cartographic Institute of Catalonia (ICC). The FPdGi Arts and Literature Award, which recognises talented young people involved in promising work in any discipline of the arts and literature (cinema, theatre, dance, gastronomy, music, photography, painting, video, architecture, fashion, sculpture, literature, design and any other artistic expression). 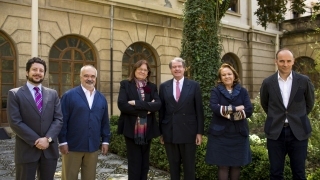 The joint winners of the 2016 Award were announced on 17 March in Zaragoza, and were percussionist and conductor Andrés Salado and poet Elena Medel. The FPdGi Scientific Research Award, which will be announced on 19 April in Valencia, recognises the work of young scientists, including those working in human and social sciences, with projects or experiences that show strong potential for future development. The FPdGi Social Award, which will be announced on 5 May in Barcelona,recognises young people who, through their leadership and personal commitment, have successfully created and promoted projects that foster the integration of marginalised people and groups or those at risk of exclusion, with a new vision and through social entities or businesses. The FPdGi Awards presentation ceremony, with a prize of €10,000 and a reproduction of a sculpture by Juan Muñoz, will take place on 1 July in the presence of Their Majesties The King and Queen of Spain, as part of the two-day programme of workshops being hosted in the city of Girona. The first day will include various entrepreneurial activities for young people in the city’s historic quarter, and a new edition of the Close Encounters meetings. On the second day, the 3rd National Entrepreneurial Education Workshops will be held together with the annual meeting of the participants in the Mentoring Talent programme.